Piatagorsky International Cello Festival Tickets now on Sale | Kirshbaum Associates Inc. 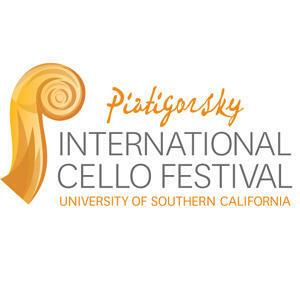 Ticket packages are now on sale for the Piatigorsky International Cello Festival through the University of Southern California Ticket Office or by calling 213-740-4672. Individual tickets will go on sale in early 2016. Tickets to festival events with the LA Phil may be purchased separately through the Walt Disney Concert Hall Box Office. In honor of the legendary cellist, Gregor Piatigorsky, the Piatigorsky International Cello Festival, presented by the University of Southern California Thornton School of Music and the LA Phil in partnership with the Los Angeles Chamber Orchestra, brings together masters of the cello and young cellists from around the world for an unparalleled celebration of the cello, its music and its musicians. The Festival takes place in Los Angeles, California from May 13-22, 2016 showcasing 26 international artists representing 15 countries and 4 continents, and unveiling several premieres during the course of this outstanding 10-day event. The Festival's roster includes some of the world’s most celebrated cellists – Yo-Yo Ma, Mischa Maisky, Truls Mørk, Jean-Guihen Queyras, David Geringas, Frans Helmerson, Colin Carr, Sol Gabetta, Giovanni Sollima, Raphael Wallfisch and Artistic Director Ralph Kirshbaum, among others - some of whom directly studied under Gregor Piatigorsky. Internationally lauded English cellist Raphael Wallfisch presents a master class. Jens Peter Maintz, renowned German cellist, leads a master class. Acclaimed American cellist Ronald Leonard, formerly holder of the prestigious Piatigorsky Endowed Chair in Violoncello at USC, leads a master class. The distinguished American cellist, former student and teaching assistant to Piatigorsky, leads a master class. Four of Piatigorsky's outstanding former students - Laurence Lesser, Mischa Maisky, Jeffrey Solow, and Raphael Wallfisch - celebrate the career of their great teacher through film and panel discussion. Internationally recognized artist Antonio Lysy leads a workshop for young, emerging cellists. The Young Cellists will complete the workshop with a performance, which will be followed at 11:00am by a forum on finding, choosing, and purchasing a fine instrument. This forum includes Jason Price, Director of Tarisio and Bruno Price, Partner in Rare Violins of New York. Paganini: Variations on 1 String on a Theme by Rossini, "Moses"
In this featured lecture, Jeffrey Solow challenges some of the assumptions that musicians make when relying on urtext editions to dig deeper into the composer’s work. Instead, he argues, musicians can reach a more informed place of performance through research, logic, and intuition. The closing concert of the Festival presents the complete works for cello and piano by Beethoven, each performed by a different renowned cellist.